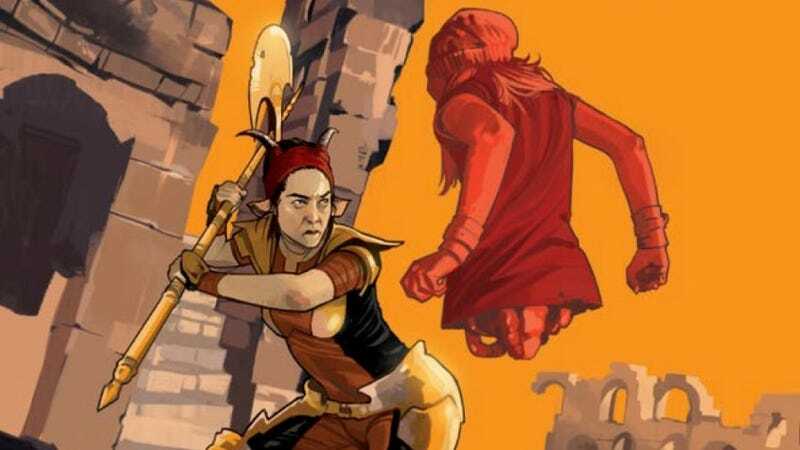 An image from the cover of Saga Chapter 10. As reported by Newsarama, Vaughan posted a statement in the backmatter of the latest issue, Saga #54, saying that he and Staples have decided to stop working on Saga for at least a year, returning with Saga #55 at some point in the future. They didn’t give a reason for the extended intermission—though Vaughn’s other comic, Y: The Last Man, has production starting on a TV show soon—but Vaughan did say they felt it was the best decision to ensure Saga stays at the top of its game. After fifty-four issues and over 1,200 consecutive pages of sequential storytelling together, Fiona and I have decided to take an extended break before we eventually reunite with Saga #55. And unlike our usual three months of ‘Vacationanza’ between arcs, we plan to pause publication of this series for at least the next year. This obviously wasn’t a decision we took lightly, but Fiona and I feel a responsibility to keep making the very best comic we can, and we both agreed that he only way to eventually finish the epic saga we set out to tell was with this one significant... let’s call it... Intermission! Saga has long been on our list as one of the greatest graphic novel series out there, having won dozens of awards since launching in 2012. The creators have often gone on two-to-three months “vacationanzas” in order to clear their heads, but this will be the longest stretch between issues by far. It will be hard to go a year without this series, but it’s a good opportunity for new fans to catch up. Besides, it gives Lin-Manuel Miranda an opening to pitch that Saga TV show that Vaughan and Staples said they’d love him to do. We’re waiting.